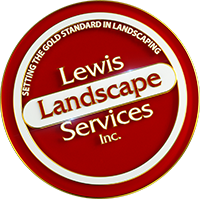 Lewis Landscape Services Inc. (“us”, “we”, or “our”) operates the https://www.lewislandscape.com/ website (the “Service”). To protect and defend the rights or property of Lewis Landscape Services Inc.
We may employ third party companies and individuals to facilitate our Service, (“Service Providers”), to provide the Service on our behalf, to perform Service-related services or to assist us in analyzing how our Service is used. At Lewis Landscaping, we strive to go the extra mile for our customers. If our Customers are outside our Service Area, or have a need that we cannot fill at that time, Lewis will gladly refer our customers to one or more of our colleagues to ensure that your needs are met in the best way possible. If you prefer that we not forward your information, please specify this in your notes to us. In the event that you should receive a call from a different Landscaping Company and have questions about the inquiry, simply give us a call here at Lewis Landscaping to verify that we have sent you the referral and feel free to ask us any manner of questions as well.